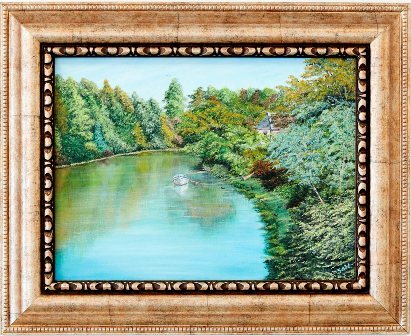 An original, signed work of art in acrylic and framed in a gold frame. Measurements are 45 x 54cm inlcuding a gold, ornate frame. 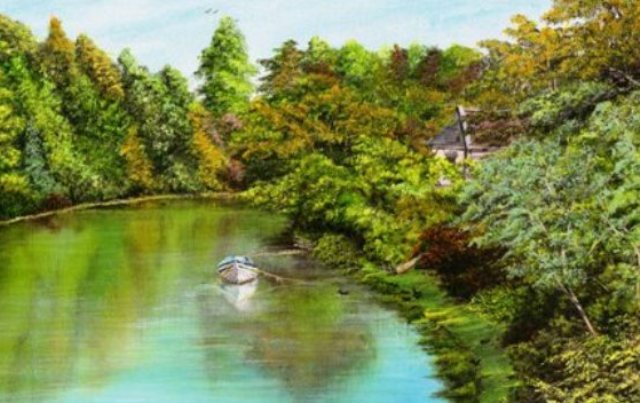 The art shows the river Coquet in Warkworth as Autum falls and the trees begin to change colour. There is a small boat moored near the bank, and little ducks, sleep or swim in the tranquil waters. 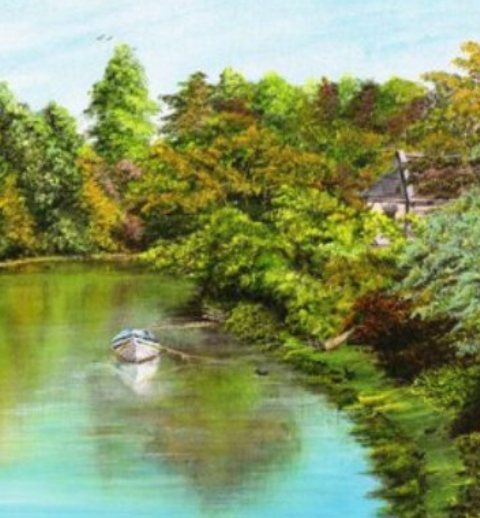 There is a quaint cottage almost hidden by the trees near the river, in this lovely, peaceful scene.